In recent years, it seems that smartphone technology has made incredible advances, and has allowed our everyday cellphones to be capable of more and more features. Today, for instance, a smartphone may be utilized for monitoring and controlling the temperature and humidity of an entire home. This is such a fascinating concept, and relevant for safety-conscious homeowners since it allows for more control over your house. 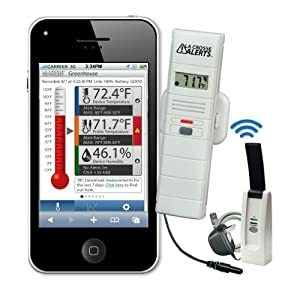 One of our favorite temperature monitoring and controlling system for the home that utilizes this new technology is the La Crosse Alerts D111.101.E1.WGB Wireless Monitor System Set with Dry Probe which we review in detail below. The La Crosse Alerts D111.101.E1.WGB Wireless Monitor System with dry probe is designed to monitor temperature sensors remotely every hour of every day and it is among the most popular systems of its kind due to ease of use, functionality, and affordability. Why Would You Need A Wireless Temperature Monitor System? There are many rooms and areas inside and outside a private or public building where the temperature might need to be controlled for purposes of safety. For example, if a greenhouse becomes too hot or too cold, the plants stored in it can die. Food can likewise be prevented from spoiling. 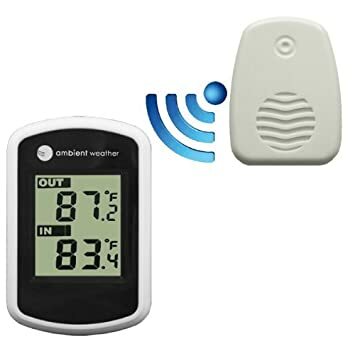 This wireless system is perfect for use in greenhouses, as well as in gardens, refrigerators, freezers, pets and livestock, food storage, sensitive electronic equipment, terrariums, books, photos, paper documents, garages, attics, basements, home breweries, wine storage, HVAC, computers, servers and more. 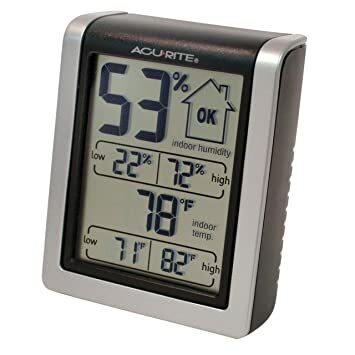 ambient temperature: This refers to the temperature of the surrounding area, as distinguished from room temperature. ambient humidity: Again, this is the humidity of the surrounding air. Temperatures in the range of -40 to 140 degrees can be recorded. *A pair of AAA alkaline batteries, which are not included, are also required. The Alerts D111.101.E1.WGB Wireless Monitor System is very easy to install, easy to use, and not to mention flexible. If the temperature or humidity goes past a preset level in either direction, the customer can receive a text or an email alerting him or her of the danger, which can then be removed. The device can even save the pipes from being frozen. The possibilities for the product really are endless. At the reasonable price of $69.90, this Wireless Monitor System is an inexpensive addition to your house that can add safety, convenience, and peace of mind. 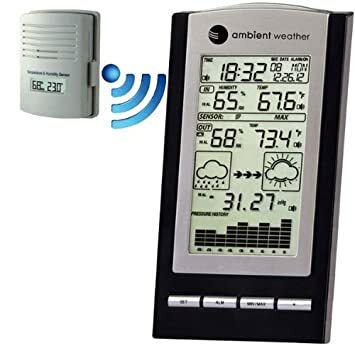 Below are some alternative wireless monitor systems that can help you maintain more control over the temperature of your home. 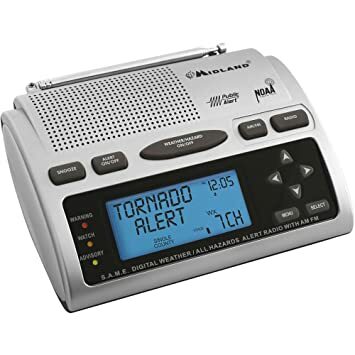 This product is much more inexpensive than the La Crosse Alerts D111.101.E1.WGB Wireless Monitor System, though it is strictly meant for indoor use only. It is, however, a valuable item for that purpose. It can indicate humidity comfort levels and register the daily high and low values for temperature and humidity. With a magnet backing and a foldout stand, it can also be put on display on a table or other surface. The display is easy to read. The device takes a single AA battery. Here is a monitor that can be installed just about anywhere and has much the same range of uses as the La Crosse. A wide range of information is displayed on the console in a way that is easy to read, and the quantities it can measure include dew point and barometric pressure. Up to three consoles can come with this thermometer, but only one remote is included. It can be installed any place where the temperature is critical.